Anne Kadima is an associate in the dispute resolution practice group and specialises in dispute resolution. She has represented local and international clients in banking and commercial litigation, defamation, employment and labour and shareholder disputes from various target sectors including financial services and manufacturing & industries. Anne was part of a team representing a leading commercial bank against three separate class action claims in the Employment and Labour Relations Court, for the recalculation of terminal benefits arising from voluntary early retirement taken by the claimants. 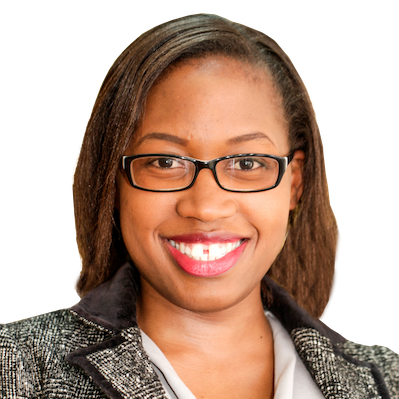 Anne is currently pursuing a Master of Laws (LLM) in International Trade and Investment Law from the University of Nairobi. She holds a Bachelor of Laws (LLB) from Moi University and a Diploma in Law from the Kenya School of Law. Advising a major American private equity fund on their legal options and remedies against former directors and shareholders of a leading East African civil engineering and construction company with a view of recovering an Arbitral award of USD 312.7 million from the London Court of International Arbitration. Part of a team that is advising Advising the Kenya Deposit Insurance Corporation in the negotiations and recovery of depositor’s money from a debtor with an estimated value of USD 20 million. Representing the Kenya Railway Corporation in a USD 4.3 million claim brought by its former employees to enforce an award made by the Industrial Court. Representing a leading commercial bank against three separate class action claims in the Employment and Labour and Relations Court for the recalculation of terminal benefits arising from voluntary early retirement worth USD 8 million. Leading the litigation team representing an International Research Institute in a land rates’ dispute of an estimated demand value of USD 4.8 million.